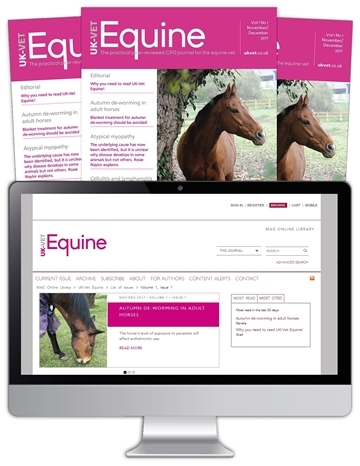 UK-VET Equine is the peer-reviewed journal providing practical, evidence-based information for equine vets. 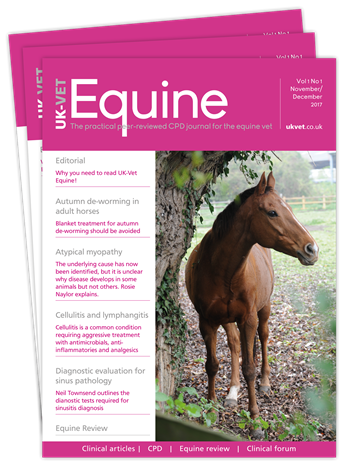 Supported by a panel of experts, the journal addresses all aspects of equine practice, to maintain vets' clinical knowledge. 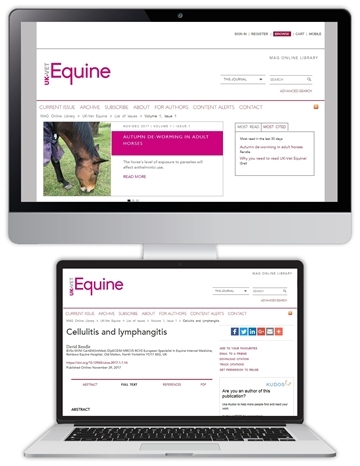 It also helps practitioners stay ahead of their CPD requirements through an online CPD programme, making it an essential reference tool for your daily work.